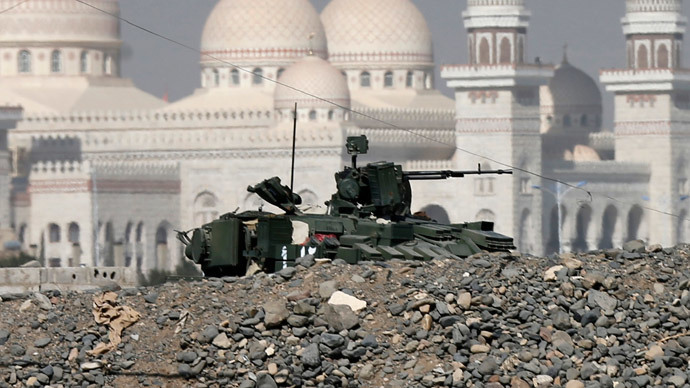 The Gulf states have decried the seizure of Yemen’s presidential palace by a rebel Shia group as a coup d’etat. The Houthi rebels secured control of the palace in Sanaa, the country’s capital after two days of clashes with government forces. 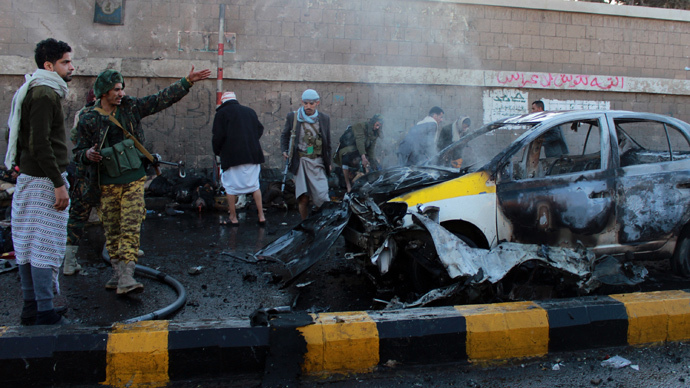 “The GCC considers what happened in Sanaa on Tuesday January 20 as a coup,” the ministers said in a statement on Wednesday. However, Yemen President Abd-Rabbu Mansour Hadi expressed a willingness to cooperate with the rebels and comply with their demands for power sharing. The presidency issued a statement on Wednesday agreeing to constitutional reform and granting members of the Shia group the right to be appointed to state institutions. The statement also said that the Houthi fighters had agreed to withdraw fighters from the area surrounding the palace, in addition to freeing the presidential office manager and former nominee for prime minister, Ahmed bin Mubarak. Earlier on Wednesday, the foreign ministers of the Gulf Cooperation Council (GCC) demanded that Houthi forces withdraw from both the presidential palace and Hadi’s private residence. They also called on the rebel fighters to free Mubarak who had been kidnapped during the fighting. The coalition which consists of oil-rich Gulf monarchies Saudi Arabia, the United Arab Emirates, Kuwait, Oman, Qatar, and Bahrain, demanded that the rebels return all government institutions to the control of the state. The US also continues to back Hadi as the legitimate leader of Yemen according to the State Department. "Hadi remains the president of the country and we remain in touch with him," State Department spokeswoman Jen Psaki said at a briefing on Wednesday. 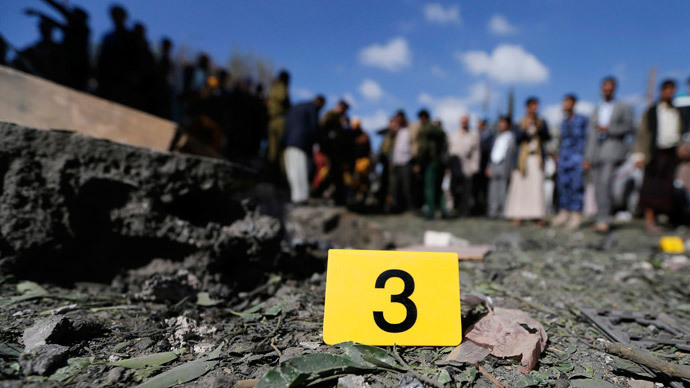 The Houthis, a Shia group with alleged ties to Iran – Saudi Arabia's archrival – swept through Yemen and penetrated key government institutions last fall. Over the last two days of clashes, the rebels have overtaken the capital. A reported 35 people have been killed. After seizing the presidential palace, but without formally deposing Hadi, Houthi leader threatened to take further “measures” against the regime unless their demands for constitutional change that would increase Houthi power were met. 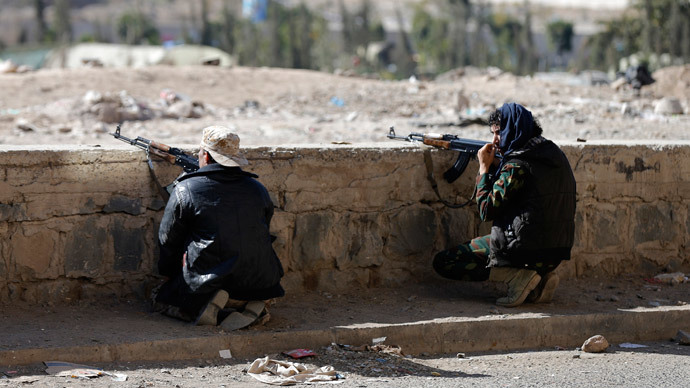 Houthi guards had replaced all presidential guards at the palace by Wednesday morning. Houthi leaders have accused Hadi of attempting to bypass a power-sharing deal signed back in September, while also claiming that they are seeking to protect the state from corruption.